I read a lot of African literature. So then, did I really need to sign up for this challenge? Well, perhaps not :). But, this was my first year of attempting challenges so I did not want to stretch myself unduly. Browngirl hosted the challenge. I committed to the scholar level, which requires one to read 12 books. I managed to read 25 books. Two issues occurred to me as I reviewed the books on the list. The first is the glaring omission of Caribbean literature. I’m a fan of literature from the Caribbean. Ordinarily, I read at least five books per year from the region. I really don’t know what happened this year. But I have missed reading Caribbean literature and will remedy that in 2011. Secondly, I need to read more works from other parts of Africa, especially from Southern and Eastern Africa. Nana Fredua of ImageNations has also observed the same with his African literature reading. I’ve promised to compile a list of suggested reading from countries that are underrepresented in his reading. There are still a number of reviews to write but those will have to wait till January. Such a fun lot these book were! I’m looking forward to reading more wonderful books from the diaspora in 2011. Great list of books! It makes me realise how little I read African literature I’ve read (only two from your list). I’m adding plenty to my TBR list. Good. Please add more African lit book to your TBR list. Thanks for the visit and the comment. Thanks, Nana. Yes, I’m yet to pick a date for the Ghana Literature Week. I have to get myself organised, don’t I? Congratulations on doing so well with the challenge, though not surprising at all that you did so well 🙂 I tend to only join challenges that I know will be easy too. Oh bother, I’ve just ordered four books by African authors and now there is this enticing list as well! And then there’s your Catalan Lit in Translation to tempt me as well! Yep, the additions to our never-ending pile to books to read :). Just doing my share, like other bloggers :). Enjoy the books. Thanks Stu. 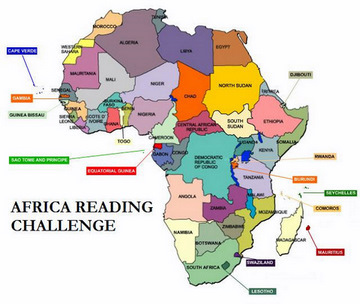 You read quite a lot of Africa literature already.